While writing on the porch last October, I sensed movement behind me. 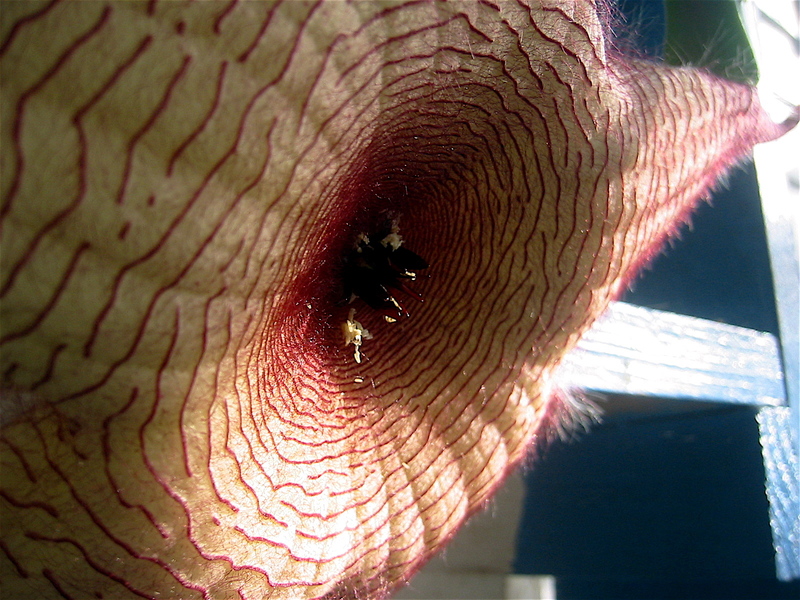 The twisted tip of a large, light yellow carrion flower pod began to unravel. I watched as four slits widened a few centimeters at a time. Over the course of forty-five minutes, it splayed wide open in a ten inch base jump from the shelf. Within minutes, a large black fly arrived to sample the thick white chunks in the center of a flower that smelled like three-day-old roadkill in late July. The squatting stink bug delivers the stink eye.